Restoration and reproduction of Civil War cannon carriages, wheels and rolling stock. 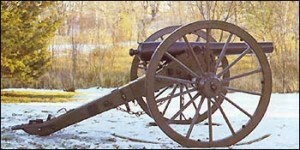 Full scale Civil War gun carriages and related items. Products include aluminum carriages for monument emplacement. Eighteenth century carriage work to high professional quality standards. Copyright South Bend Replicas © 2019. All Rights Reserved.